Welcome to Deudraeth, Bennar Headland, Abersoch. 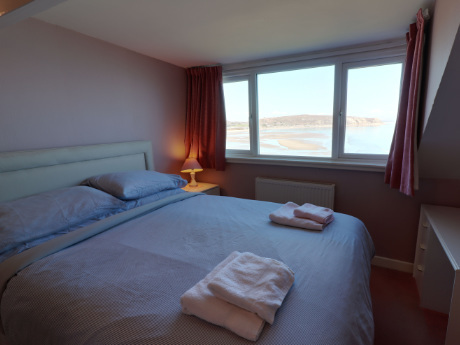 This is a holiday cottage positioned on top of the headland overlooking the golden sands of Abersoch Harbour and Warren Beaches. 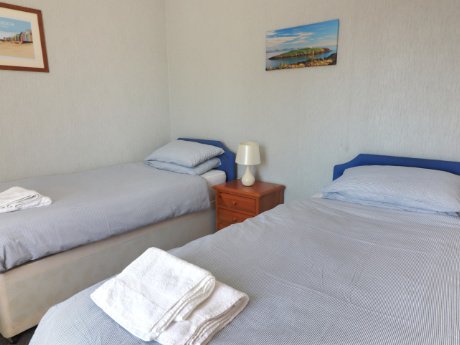 Relax and watch the panoramic views of the Snowdonia Mountain Range over Cardigan Bay. 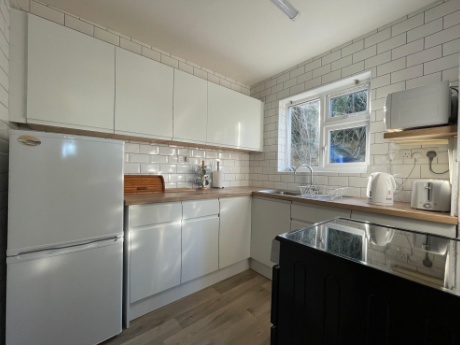 Kitchen includes electric cooker, fridge/freezer and a microwave. Automatic washing machine and tumble dryer are located in the larder. 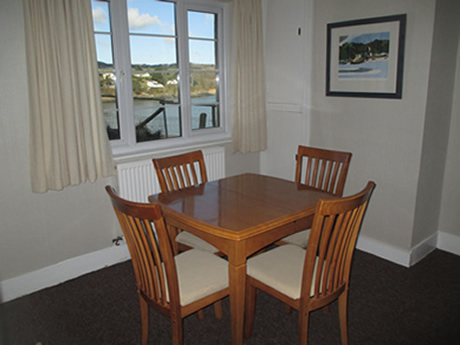 Breakfast Room has an extendable table and is next door to the kitchen with views overlooking the Harbour beach. 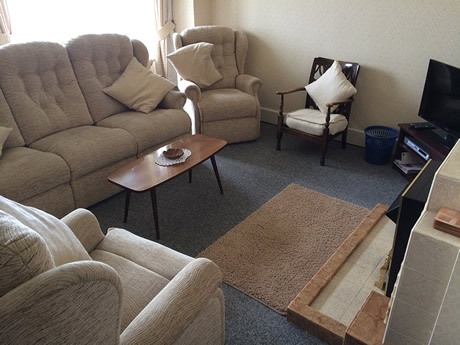 Living room overlooks the sea and includes a freeview TV and a DVD player. A spacious Dining Room overlooks the sea and includes an extendable table. Bathroom contains wash basin, WC and bath with wall mounted electrical shower. Ground floor Bedroom contains twin beds next door to the Bathroom. Includes a hot and cold wash hand basin. 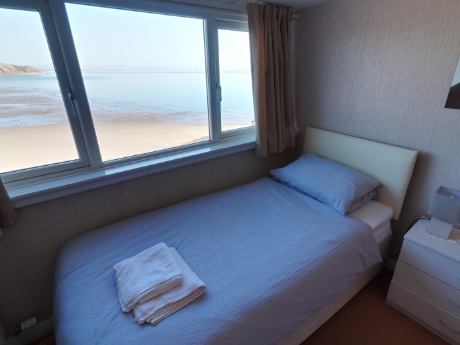 Bedroom has twin single beds with views over the Cardigan bay. Includes a hot and cold wash hand basin. 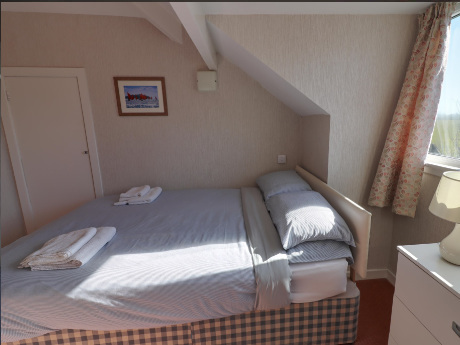 Has as a double bed with views over the Cardigan bay. Includes a hot and cold wash hand basin. Has a double bed. Includes a hot and cold wash hand basin. There is a separate WC on the first floor. Extensive lawned garden overlooking the sea. Drive can accommodate many cars for parking. Duvets, pillows and blankets are provided. Guests to bring their own sheets, pillow cases and towels. Electricity and central heating is included. 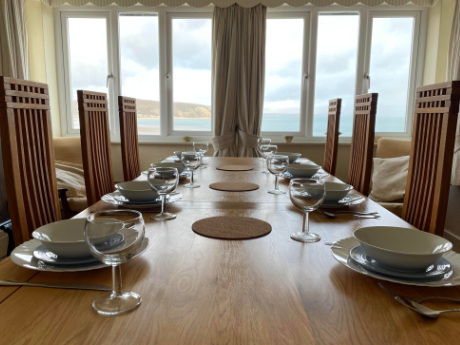 A detached 4 bedroom dormer bungalow (sleeps 8) in an elevated position on the Bennar Headland with magnificent, uninterupted panoramic views towards Abersoch Harbour , The Warren, Llanbedrog Headland, Snowdon and Cardigan Bay. 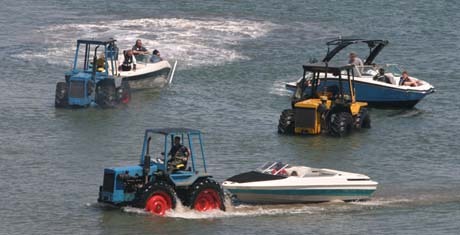 It is within a stone's throw of the village, harbour, SCYC and main beach. It is surrounded by extensive lawned gardens. Fully central heated. 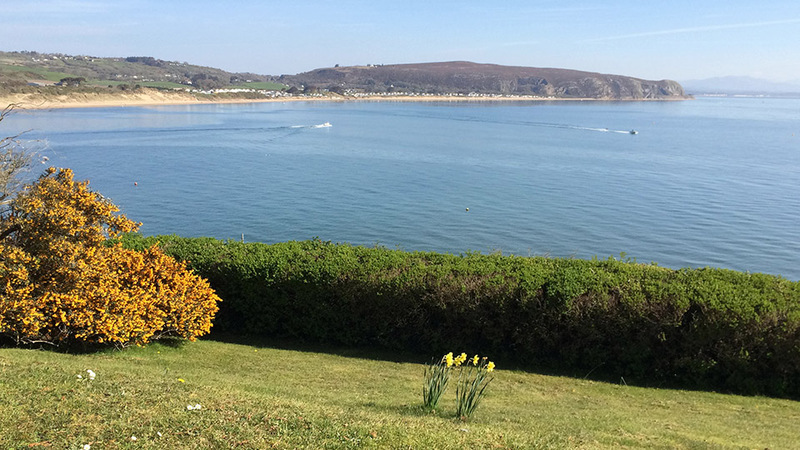 As you arrive in Abersoch village centre, go straight ahead past the village garage following signs to the main beach and the South Caernarfonshire Yacht Club (SCYC). Keep left and continue on this road passing the turning to the top car park (Entrance to SCYC). 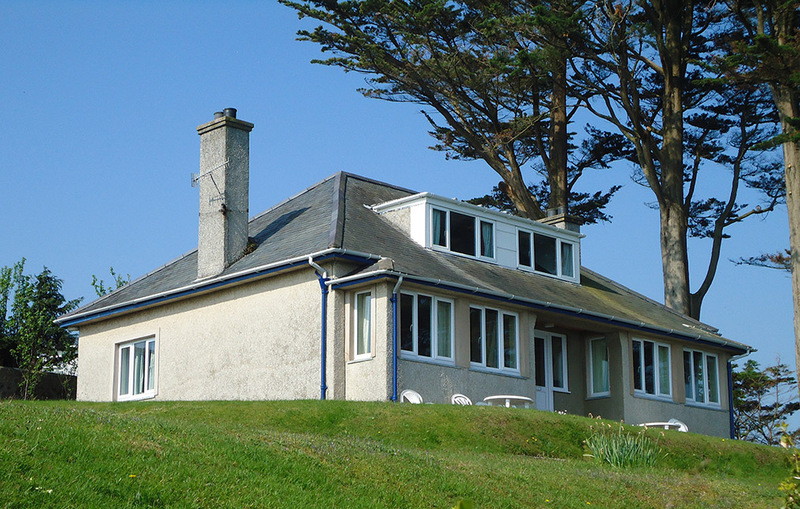 Deudraeth is the second property on the left hand side on the Bennar Headland.